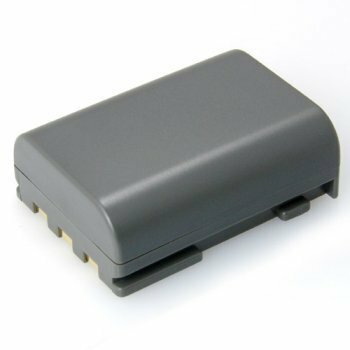 This Dorr 7.4v 750mAh Lithium Ion Rechargeable Battery is suitable for the Canon Powershot S30, 40, 45, 50, 60, 70, 80, G7 and G9. Eos 350D, 400D. Canon Camcorders Mx5, 5i, 6iMC, MV800, MVx20i, 30i, 35i, 40i, 45i, 200, 200i, 250i, 300, 330i, 350i. Canon Powershot S30, 40, 45, 50, 60, 70, 80, G7 and G9. Eos 350D, 400D. Canon Camcorders Mx5, 5i, 6iMC, MV800, MVx20i, 30i, 35i, 40i, 45i, 200, 200i, 250i, 300, 330i, 350i.